Oak Rustic Modern Desk With unique drop storage. 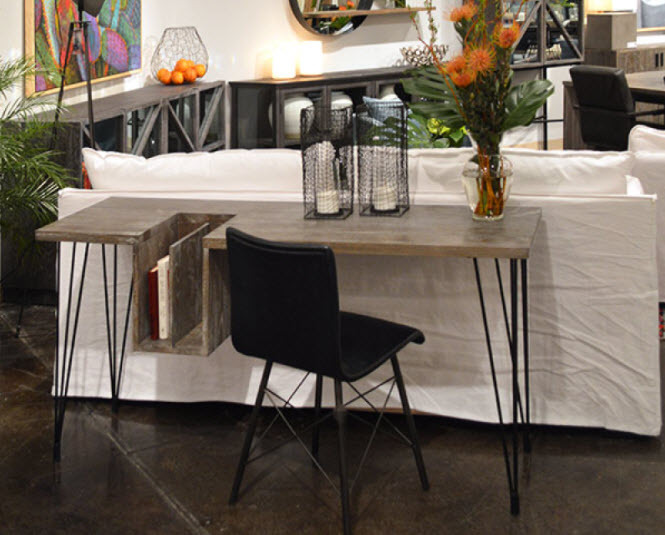 Metal base sturdy hairpin legs / Solid Oak Charcoal Top. Free Curbside delivery. Some assembly.